Among novelists who engage directly with environmental issues, Kim Stanley Robinson has few equals. The Davis, California, science fiction writer is the author of 17 novels that address issues of ecology and space exploration, climate change and alternatives to capitalism. Raised in Orange County, Robinson started his career with the Three Californias Trilogy (Ace/Tor, 1984-1990), which proposed three very different futures —apocalyptic, dystopian and utopian — for the state. He achieved wide critical and popular acclaim for his Mars Trilogy (Bantam Books, 1992-1996), a 2,000-page saga of the colonization of the Red Planet; individual volumes won Hugo and Nebula awards. Later books include the near-future Antarctica (Bantam, 1997), the alternate history The Years of Rice and Salt (Bantam, 2002) and 2312 (Orbit Books, 2012), featuring human habitats spread across the solar system. Robinson works both to engage his readership and warn them about the precarious health of the planet. 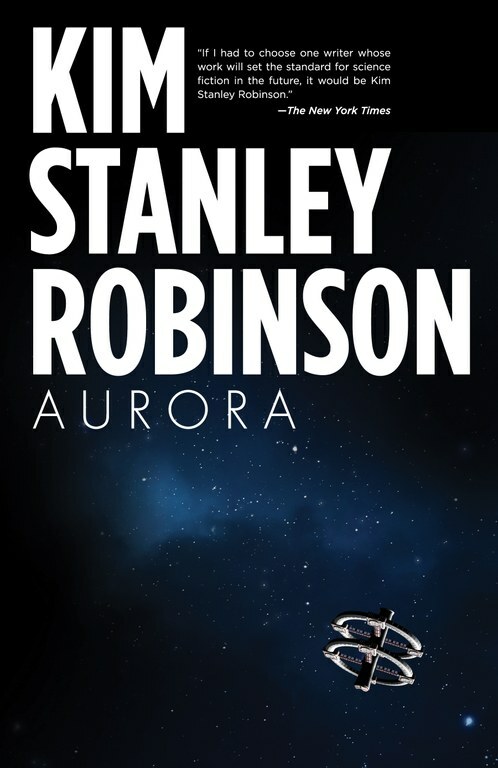 His most recent novel, Aurora (Orbit, 2015), describes the overwhelming challenges in maintaining a human-friendly ecological balance aboard a starship headed to another solar system. Last year, Del Rey Books published Green Earth, a one-volume revised compilation of his Science in the Capital Trilogy (Bantam, 2004-2007), which explores the politics of near-future natural disasters and climate change. Next year will see the publication of New York 2140, which is set in a Manhattan inundated by sea-level rise. High Country News contributor Michael Berry recently met with Robinson at the author’s home. This interview has been edited for space and clarity. 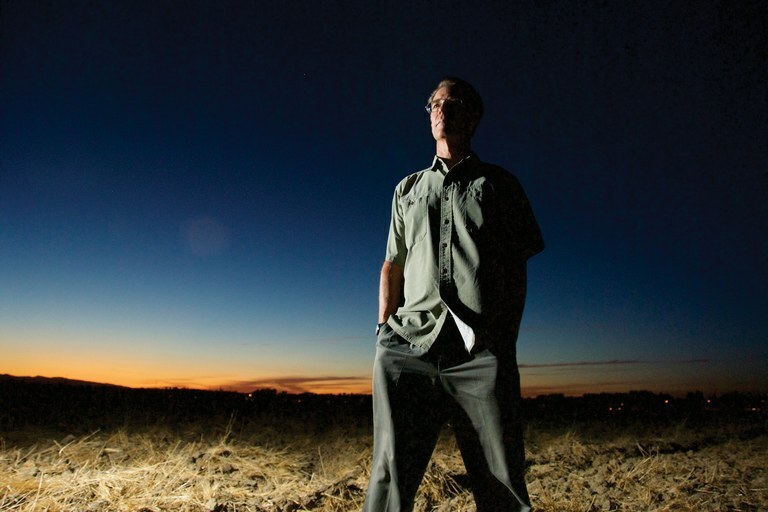 Science fiction author Kim Stanley Robinson. High Country News: Your Mars Trilogy, published in the mid-1990s, explored the idea of terraforming that planet — manipulating it for human habitation. What are your thoughts on that now, especially in light of billionaire inventor Elon Musk’s recently announced plans for colonizing Mars? Kim Stanley Robinson: The actual project of going to and terraforming Mars is interesting, but the timeline for it I radically condensed for storytelling purposes. Really, the timeline of terraforming Mars is on the scale of thousands of years. -Talking about it now is a way of talking about what we have to do here on Earth. It’s a metaphor for what we have to do here, rather than an active plan or blueprint for (going to Mars) right now. We’ve discovered that soil on Mars is filled with toxic perchlorates and there isn’t near as much nitrogen as planetologists thought. Also, when I wrote those books everybody in the scientific community was assuming Mars was dead. Now this remote possibility of microbial life underground on Mars is enough that all three of these things should slow down ideas of terraforming. Musk’s plan resembles my Mars Trilogy and earlier science fiction stories. What he proposed is not going to happen. It’s a fantasy. HCN: Last year, your publication of Aurora apparently angered some fans by pointing out the unlikelihood of spreading humanity to another solar system and emphasizing the need to protect the one planet we live on. Why do you think some readers reacted so vehemently? KSR: Well, I pushed that button on purpose. I wanted to anger the crowd of people who seem so devoted to going to the stars, as if human destiny were to be defined by whether we become a star-faring civilization. I thought that was wrong. I thought they were ignoring new data about the microbiome and our ecological realities in order to indulge in a fantasy, partly of escape, partly of expansion. It seems that for these people this is a secular replacement for religion, having to do with transcendence, admitting that there’s probably not an afterlife, but if humanity were to last and to spread (to other stars), then one’s species would then go on and on. Which would be satisfactory, as a kind of a secular afterlife for your descendants. But it ignores that we’re just a part of a larger ecology. We’re completely implicated with Earth and its biosphere, to the point where we can’t get off of it without very quickly getting sick in ways that can’t be mitigated. If you take the long term of thousands of years, maybe a technology could be built that would get people to other stars. But as I pointed out in Aurora, when you get to other planets and go around other stars, your problems have just begun. If the other planet is alive, you have some serious problems. If it’s dead, you have to terraform, and that’s a thousands-of-years project while you’re still stuck in your starship. What I tried to do was to kill an idea and to refocus humanity’s attention on Earth. It was a fairly intense project for me. HCN: Green Planets (Wesleyan University Press, 2014), the essay collection you edited with Gerry Canavan in 2014, addresses ecology and science fiction. How does science fiction teach people to think about the future, especially about climate change? KSR: It teaches about history, and that the present itself is this historical moment. When you read enough science fiction, you realize this is just one point in a historical flow where things could have been different. If something went different in the past, we’d have a different now. The things we do now are going to make anything from dystopia to utopia. Every science fiction novel involves two ways of reading it. It’s a true attempt to imagine a real future in detail, with thick texture. On the other hand, it’s always metaphorical or allegorical. 2312, for instance, is about the Year 2312 and what really might come to pass, but it’s also about right now and the way we’re changing ourselves biologically, and the social system of the rich and the poor. HCN: Your next novel is New York 2140, coming out in March from Orbit. Can you give us a preview? KSR: There’s been a radical (50-foot) sea-level rise, and the book has to do with coping. What I want to explore is the idea that the coming climate crisis will force us to invent a kind of post-capitalism, but that global capitalism will not let go of our social systems easily. It’s entrenched, it’s defensive, and it’s incredibly powerful. What would (a new system) require in the way of political evolution or revolution? Some interesting radical economics coming out of the 2008 crash made suggestions as to how to recapture capital for people and for the biosphere, rather than for the famous one percent. So I tell that story. It’s kind of a utopian history. New York 2140 is a much more positive project than Aurora. I think humans are going to cope, and it’s going to be a stimulus to some good new developments. HCN: What kinds of changes do you think might happen in the Western U.S. by 2140? KSR: If there was a 50-foot sea-level rise, we’d be underwater right here. This is 37 feet above sea level. I’ve thought about California with that kind of sea-level rise. People have said, “We’ll dam the Golden Gate.” Well, we’re not going to dam the Golden Gate. They haven’t thought it through. That’s not going to work. We’ll have to adjust to drownings of coastal structures. In the Central Valley, (radical sea-level rise) would be an amazing disaster that we may indeed have to cope with. These extensive droughts we’re experiencing would become worse, and warmer temperatures mean less snowpack. Because of the need to capture precipitation when it’s not snow, what we’ll want are the tule marshes back, to turn the Central Valley into a gigantic sponge, holding water back from going out the Golden Gate by a gigantic hydraulic system, partly ecological and partly mechanical. There’s a California climate future that I haven’t written that involves making the Central Valley a sponge and changing our industrial ag practices. Our industrial agriculture is destructive. It’s a profit-motive ag, not really for food or for people right now. That is going to have to change. It will be stressful. There will be a lot of anger and political controversy, but California’s been really good so far. It’s been cutting-edge, and it’s been done by a multicultural society. So it’s a place to be proud of currently, and there’s hope that it could lead the way, and cope with the changing -temperatures. HCN: In the face of daunting news about the degradation of our environment, how do you retain positivity? KSR: I think (optimism) is a necessary political position. It’s a matter of will. I choose it as a way of saying it’s important to keep working, to stay positive for the sake of our descendants. I do the things you need to. I keep a vegetable garden, compost, ride my bike, have photovoltaic (panels) on the roof. In general, I’m doing what suburban Americans ought to do, because we are the ones burning more than our fair share of energy on the planet. Permaculture is a necessary part of utopia, where utopia becomes ecological and agricultural and not just social. It keeps you grounded in the biosphere. I try to write about it and live by its guidance as much as I can. I love the Sierra Nevada with all my heart. As I’ve gotten older, I’ve realized that you can’t see everything on this earth, and it burns a lot of carbon to try. As a Californian, I get up to the Sierra Nevada, one of the great mountain ranges of the world, particularly if you want to backpack. It’s purely recreational. It’s not a sustainable action. But I think it informs my writing.